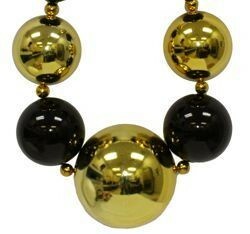 Black and Gold Big Balls Necklace is 54in long. 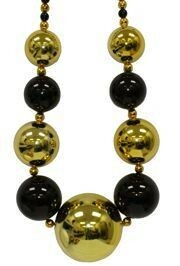 The Black and Gold Big Balls Necklace is 54in long. These long beads come in widths of 80mm, 100mm, and 150mm and are separated by 20mm Black and Gold Fleur-De-Lis spacers. 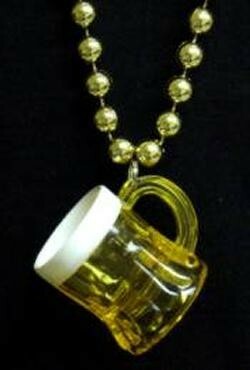 Perfect for black and gold parties, Mardi Gras, or the Saints fan.